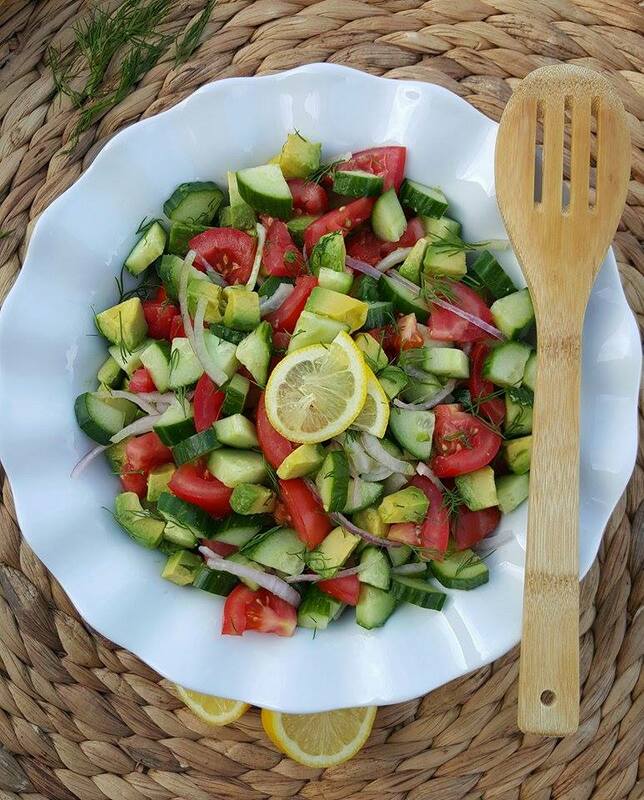 A simple Summer Salad that goes PERFECTLY with your grilled chicken or shrimp! 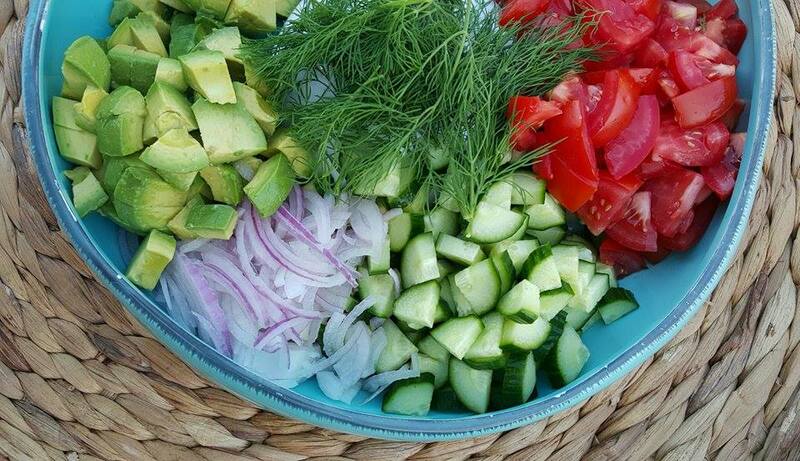 Place tomatoes, cucumber, red onion, avocado, and fresh dill into a large salad bowl. Drizzle with oil and add lemon juice. Toss very gently to combine. Just before serving, sprinkle evenly with sea salt and pepper. 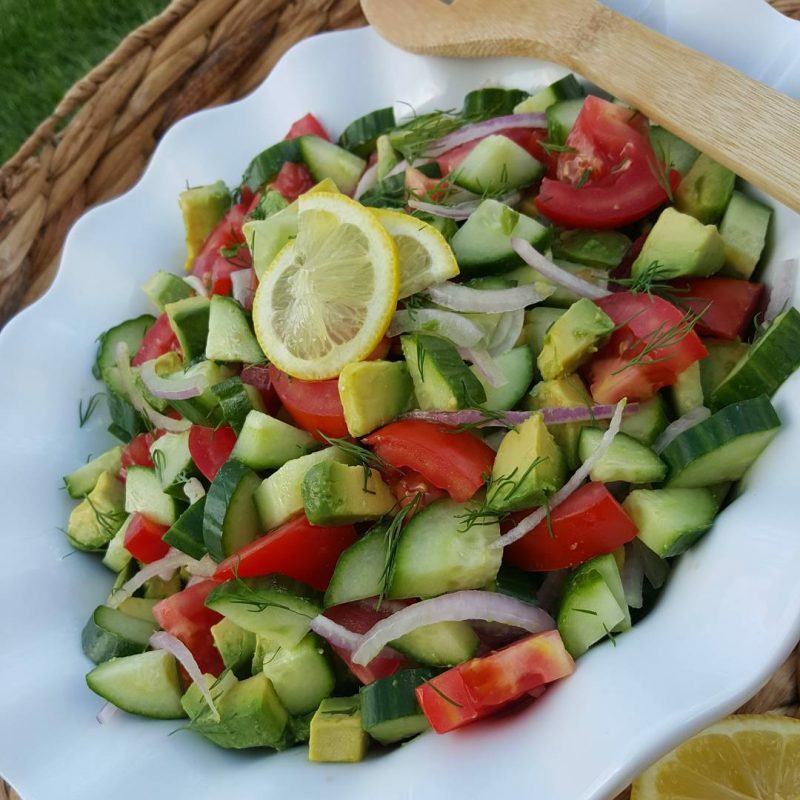 Garden Fresh Tomato, Cucumber, & Avocado Summer Salad? Want to make the perfect Grilled Chicken Breasts to go with this salad? 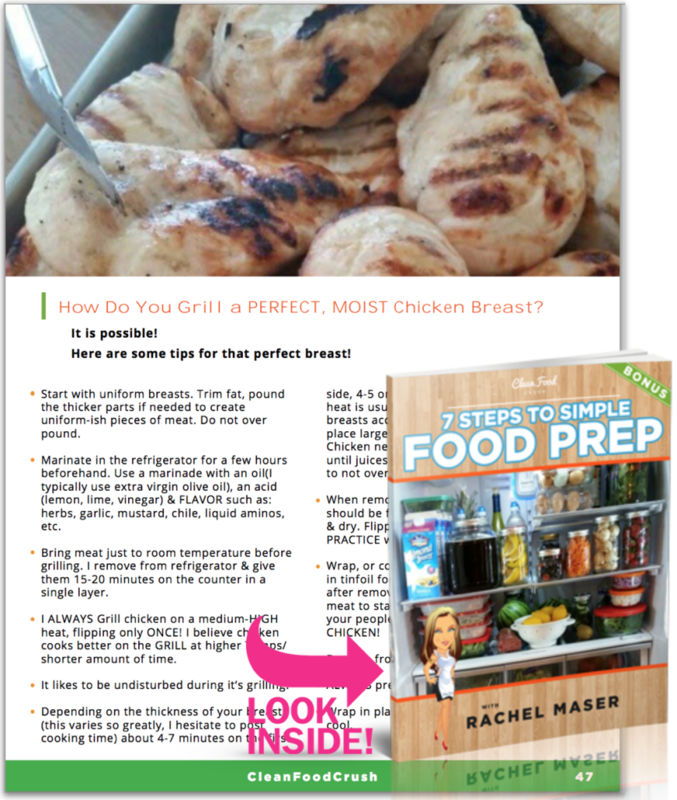 Check out the CleanFoodLove bundle, I show you how to perfectly grill chicken inside the CFC Meal Prep book!